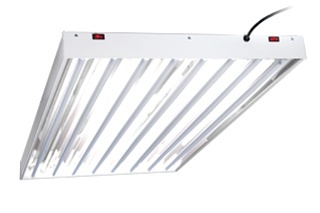 Extend the growing season to 365 days a year with EYE HORTILUX grow lamps. Choose EYE Hortilux lamps to raise your lighting system to a new level of performance, optimizing spectral energy levels that promote vigorous plant growth. EN lamps are completely lead free and contain less mercury than standard HPS lamps. The environmentally friendly lamps (EN) can usually be disposed of without being recycled, however please check your state laws first, which may be more strict than Federal law. For information on how to recycle your lamp visit www.lamprecycle.org. Hortilux Super HPS Enhanced Spectrum grow lamps fine-tune your lighting system to provide optimum spectral energy levels that promote vigorous plant growth. The EYE Super HPS EN Grow Lamps provide 17% more total energy and 25% more energy in the violet, blue, and green spectrum than standard High Pressure Sodium lamps. These lamps are environmentally friendly and pass EPA, TCLP test criteria as non-hazardous waste.